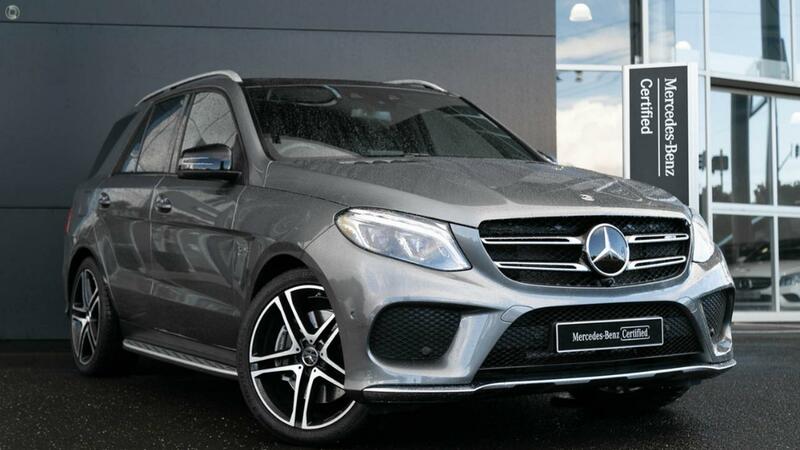 Australia's Most Awarded Mercedes-Benz Retailer proudly presents this Certified low kilometre Executive Driven Mercedes-AMG GLE43 4MATIC Bi-Turbo featuring Fully-Factory-Backed Warranty right through to June 2023! Perfectly presented in sparkling Selenite Grey Metallic over Two-tone Black Pearl and Black Nappa Leather, available for immediate delivery and highly specified riding on 21" AMG 5-twin spoke bi-colour light-alloy wheels with optional Vision Package including Panoramic Glass Sunroof and Harman Kardon Logic 7 Surround Sound System. Take the wheel of your dream drive GLE43 4MATIC SUV with absolute confidence - ONLY form a Certified Mercedes-AMG expert and the reigning "Mercedes-Benz Metropolitan Retailer of the Year" again, for the 5th time in 6 years! - Sports seats in black pearl nappa leather/black leather. - Mercedes-Benz logo puddle lamp.